You want sparkling clean dishes, but you also want to live a more sustainable lifestyle. Now you can have both! 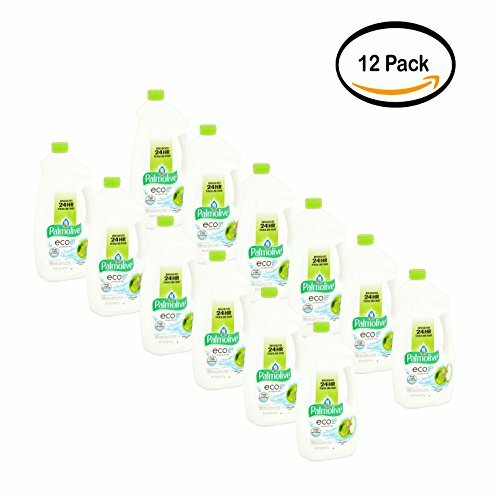 Palmolive eco+ gel dishwasher detergent provides powerful cleaning action and its formula is phosphate free, a common dish-washing agent that may be harmful to lakes and streams. It maintains full cleaning power to get your dishes to a sparkling shine without any residue. Ample cleansers whisk away dirt, grease and grime. A fresh, citrus apple scent makes the everyday task of cleaning your dishes rewarding to the senses. The large-size bottle features an integrated handle and a clean-pouring squeeze spout for easy use.